Why runners get sinus tarsi syndrome? There’s couple ways you can get it. When you supinate and you pronate your foot, your foot is moving back and forth landing on uneven surfaces, it pronates and supinates a lot harder. When you run on a regular ground you still pronate and supinate all the time. If you run on really uneven surfaces like your land on rocks and roots and all that sort of stuff well you’re pronating and supinating aggressively and sometimes you pronate so hard that you basically pinch the synovial tissue or the lining of that joint that makes the synovial fluid on the inside of your subtalar joint and it becomes inflamed. When it becomes inflamed, it swells. 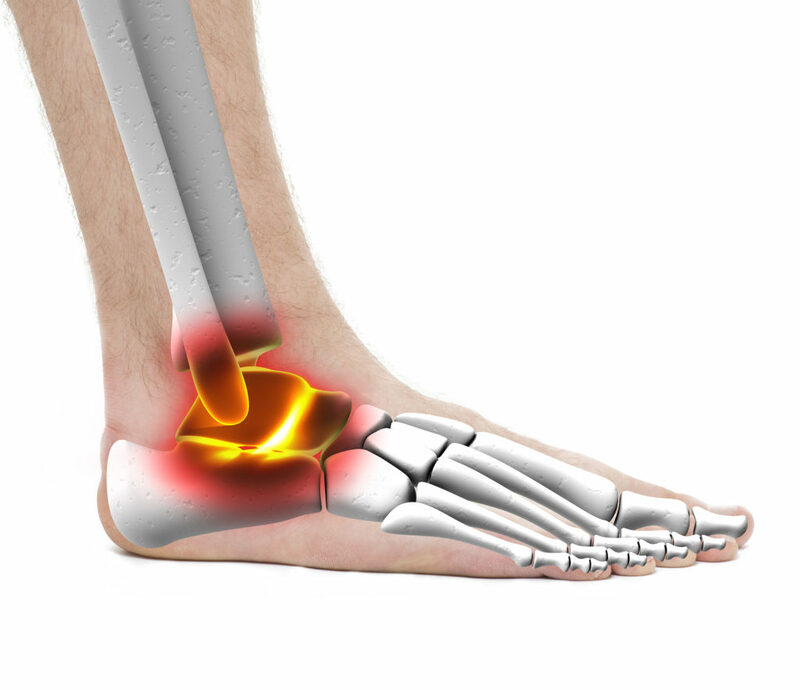 When it swells it actually gets pinched more and it is a soft squishy tissue that has lots of nerve endings so when it becomes inflamed and swollen and you’re pronating when you’re running it hurts and now that it’s swollen and is getting pinched between the heel bone in the talus, every time you take a step. So then you’re just walking on it and it hurts and so it can build up over time. It hurts a little bit because you aggravated it too much and then it swells more than it hurts not only when you’re running but it hurts when you’re walking too and then next thing it hurts if you even wiggle your foot around or you’re sitting in some business meeting. What is the best-case and worst-case scenario with sinus tarsi syndrome? The best case scenario is it calms down and you can keep running with no hassle at all. Of course hopefully very quickly. Worst case scenario is that you continue to aggravate it and irritate it and you get basically chronic inflammation, chronic swelling within the sinus tarsi that won’t calm down. When that happens a doctor may recommend a surgery that we call a sinus tarsi evacuation where we basically go in, we just cut out all the tissue in there that’s inflamed and then it calms down. I haven’t done that in a long time because I wouldn’t want to do that on a runner because you can injure the talar carpal ligament. When you do that, I don’t think that’s a great approach. We always try to figure out like what is best for you as an individual, as a runner, what’s going to help you the most and get you back to run as quickly as possible and not screw up your possibility of running for the rest of your life. In sinus tarsi syndrome, your worst case scenario is that you end up in surgery. But that is unlikely first of all. So when you’re thinking about running with this, you have to think about it. You have to decide like this case worst case scenario given your particular circumstances with you as a runner to decide whether or not it is okay for you to keep training right now, whether you should do something to calm it down really quickly and whether or not it’s safe for you to do the next event, all dependent upon your goals and how far away that event is. Why doctors mis-diagnose sinus tarsi syndrome? First of all, if you see a doctor that say just have to stop running, it’s bad for your feet or it’s hard on your joints, go see another doctor that’s the first thing. But it can be misdiagnosed a lot of times if you sprain your ankle and you’ve already had this problem. They’ll say well it’s just an ankle sprain because the ligament that’s most often sprained in an ankle sprain is called the ATFL or the anterior talofibular ligament and the ATFL ligament runs across and within the sinus tarsi. Another way you could be misdiagnosed with sinus tarsi syndrome when it’s actually something else is if you have a crack in the bone, the talus bone as we refer to as the lateral process. So a lot of doctors do not really know that much about this thing and I actually did the largest study ever on lateral process fracture of the talus and I won an award from the American College of Foot and Ankle Surgery for that study and we actually found that those are ten times more common than was previously reported in the medical literature. It was way more common that what I was taught in medical school and we did this huge study to figure that out. How can I tell if I have sinus tarsi syndrome? If you sprained her ankle, you do the right stuff you, get better and you still have this continuing aching pain and your doctor says it’s just the residual effects of having a sprained ankle but you actually have a crack in the bone, it’s going to get better. So you have to make sure you do not have one of those. The other thing is sometimes you have peroneal tendons that are irritated. They’re a little bit further away from the sinus tarsi but I have seen patients that were told they synovitis or sinus tarsi syndrome. You have to make sure you don’t get misdiagnosed. If you’re treating the right problem, you’re going to get better. If you think you have sinus tarsi syndrome but you actually have peroneal tenditis, you’re not going to get better with different treatments. So the thing is you got to figure it out and you can go see a doctor, you can do a virtual doctor visit with an expert, you can do lots of different things but most of the time you can really tell yourself. The deal is if you have pain when you push on the sinus tarsi, that’s a good sign that you have sinus tarsi syndrome. If you don’t have pain when you push on the peroneal tendons that certainly is more suggestive of sinus tarsi syndrome because you have pain there but not on the peroneal tendons. 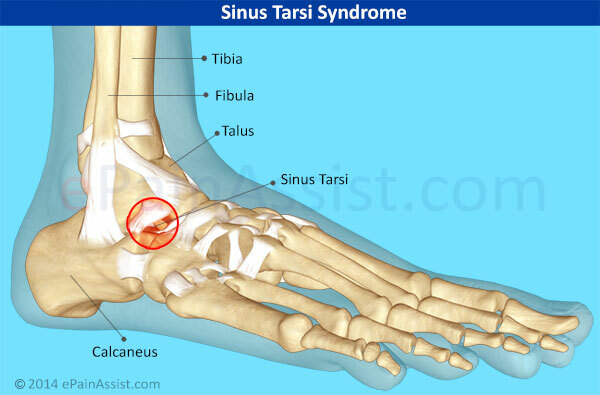 If you push on the lateral process of the talus and it doesn’t cause any pain, well then it’s probably not a fracture of the lateral process, it’s probably sinus tarsi syndrome and that sounds kind of stupid but the truth is it’s really that simple. All you have to do is do some simple things to calm it down. Do contrast baths, ice it, compression socks., elevate your feet. Do the things that you know are going to reduce the inflammation. If you improve really quickly with contrast baths, elevation, compression, all that then you know you’re on the right track. You just keep doing that for a couple of days until it goes away and it’ll calm down. If it’s a really bad case then you can use a fracture walking boot for just a couple of days to get it to calm down. Then that’s okay too. I just do not like the idea of putting somebody in a fracture walking tell them have it around for a month or a month-and-a-half. Because that put your risk of other over training injuries later. So think twice and ask lots of questions if a doctor tells you to do that. I don’t think that’s necessary most the time. But you can do things really simple. The first step to make sure that you stay on track. There really are a lot of things you can do on your own. That will help you heal. What will a doctor typically do for sinus tarsi syndrome? When you go see a doctor and you have sinus tarsi syndrome, they’re going to do several things. First of all they’re going to try to tell you to do some simple things what we refer to as conservative treatment that will likely help it calm down. 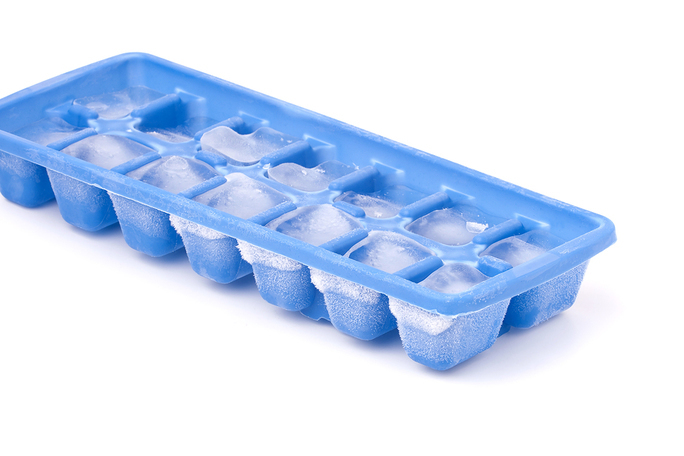 They’ll tell you to ice it. They’ll tell you elevate. They’ll tell you to kind of just don’t do whatever hurts. So if it hurts when you run, don’t run. They’ll you tell you to do anything to let it calm down and tell you to elevate that kind of stuff and then if it improves very quickly then you’re on your way. But if you’re not then what they’ll usually do is recommend more aggressive treatments. They might recommend a fracture walking boot like we talked about earlier. Don’t do that unless it’s absolutely necessary. Then they also might recommend a corticosteroid injection. So when they do a corticosteroid injection those can be very effective for this. But basically the idea is really simple. We take local anesthetic and some cortisone or corticosteroid and we actually inject them right into the sinus tarsi. Now that calms down the inflammation very quickly so it’s way better than icing, way faster. But it’s riskier than icing. Nothing in medicine is free. Everything you do that potentially could help you in medicine has a risk to hurt you as well. If you have damage to the cartilage in the joint and you actually have joint damage or arthritis, it may calm it down but it can accelerate the sort of degradation the collagen in the articular cartilage in your joint and that’s one reason we don’t do it on everybody. When should you run with sinus tarsi syndrome? The other thing you should think about as a runner is when you should run. So if you do the home treatments and you really improving and it goes away then I will start doing test runs and you can do a really short run like a mile or two miles and then just wait until next and see if it’s achy. If it’s not then you’re probably out of the woods. But if you think that its way better like its eighty-five percent better then you go for a run and you have a big setback, it hurts a lot, you definitely need to take some more steps to get it to calm down before you really resume running. Otherwise it’s going flare back up. It’s just going to swell more. When tissue swells, it gets pinched between the bones more and it stays more aggravated. So you’ve got to really reassess frequently when you’re getting over this and you can get back to running as quickly as possible. What to do if sinus tarsi syndrome is not getting better? And if you’re not getting better, you have to reassess. If you saw doctor no matter how much you like and you’re not getting better you got to do something differently or you need to assess yourself so if you if you go through and you check it yourself and you’re sure you don’t have those other problems, you’re sure you don’t have a peroneal tendonitis or a lateral process fracture any of that then get help from somebody who can help you. Talk to your coach, talk to your doctor, get a virtual doctor visit and get an expert to actually help you by a webcam even, to really reassess and see if you’re missing something. Because if you’re missing anything at all and you’ve got the wrong diagnosis, you’re just not going to get better. Even if you do have the right diagnosis, if you’re doing something slightly wrong or with your treatments, you’re not going to get better. And even if you’re doing all the right treatments but whatever activity you’re doing to maintain your fitness just happens to be irritating, you’re not going to get better. But if you’re not getting better, don’t stick your head in the sand. You’ve got to do something to make sure that you can get back on course and get back to running.